Good Day Everyone! Yes we have a Monday Blog.. This past weekend we were attending The Home Energy Score Assessor class. By the end of the week we will have our certification from Department of Energy Home Score program, as Assessor. What is that, do you need it and why do you want it. So lets begin. The Home Energy Score program is like a vehicles miles per gallon ratio. It allows you to compare your energy use that you use to other homes in the area and nationwide. The process starts with a Home Energy Inspector to do a brief walk-thru to gather data from different elements of your home during the inspection. The inspection process normally takes about a half an hour. The inspection is not to open wall cavities or take apart certain elements. Its gathering data for the program to compare your energy use and how to save you money! Now keep in mind some homes have been upgraded and are older and score well. Some are newer and score low. Even with today’s specifications. Not every home is alike and every home will not score the same. This weeks blog is about floor inspections and what a flooring consultant does. There is a difference between a floor inspector and a floor consultant. They both perform similar activities and this blog will educate on the difference. So lets begin with a floor inspection. We all have or had carpet, tile, laminate and hardwood floor products installed in our home. Carpet there is many types of manufactures but are made with similarities’. Laminate flooring has gotten popular over the years and is easy to maintain. Just as such as pre-finished wood products. Of course we are all used to the hardwood floors from grandma back in the day. However, you may not know that products being mass produced may have flaws in the product and may not be caught by quality control from the manufacture. So what happens if there are flaws in the product. What happens to the consumer that if there is an installation issue. And believe it or not there is tolerances and variances allowed by ANSI. With all that you may think, is it worth the hassles. Well first there are tolerances and variances that is acceptable from ANSI. However, these are so small or unknown that the product to the naked eye will not show. Just like a carpenter installing crown molding. There maybe slight uneven-ness but a true tradesman will not let it show. The same goes with floor products. However, a lot of times there are issues with a product and installation. On the installation of a product any consumer knows if its a good install or bad. They may have questions and not know everything about the product and rely on the installer to further educate them. But remember as a consumer if you are not happy with the job, tell the crew to stop. Whether its the performance of the install or the product itself. You may see flaws of a product and not happy with it. 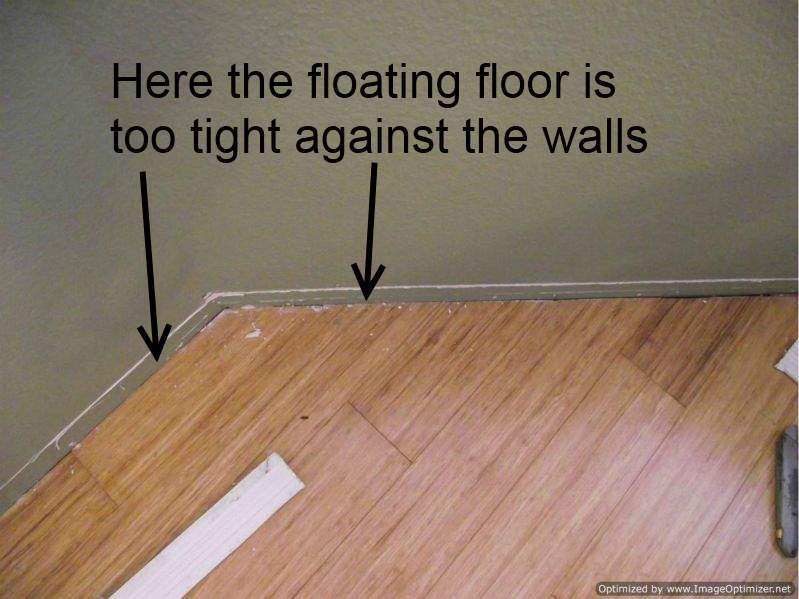 If this is the case a floor inspector or consultant will help with this problem. An inspector or consultant is trained to perform inspections of this nature. This type of inspection is not the same as a home inspector. This type of person is probably certified from an agency. I, George K. Swatzbaugh III, am Nationally Certified thru IFCI. The inspector will come out to the job site and search for deficiencies in the product. However, there is a great deal of research in this inspection. The inspector has to know the tolerances of the product. Also, has an understanding of how the product is installed. Additionally, their report writing tells a story to anyone from start to finish on the where the product is installed and what the deficiencies are. Lastly, the floor product maybe within standards but the installer did not perform the install correctly. Or there maybe a issue of the product and has to report it back to the manufacture. The difference between the floor inspector and a floor consultant is similar. They both perform the same work. However, the inspector will have a commissioning agent who they report back too. A floor consultant will work directly for the end user or known as the home owner. Both titles mean just about the same. A certified inspector or consultant will be able to be an expert witness if need be. For more information about this topic, go to www.emeraldinspectionservice.com or call us anytime at 352-322-2700. We will perform inspections of this type nationally. However, we typically stay in the Tampa, Lakeland, Ocala and Clearwater Florida areas.